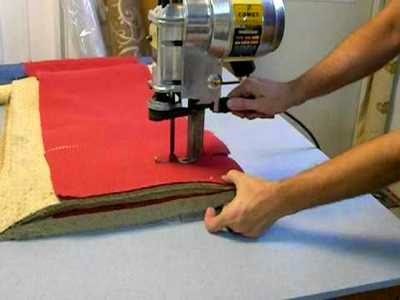 Cutting is one of the basic operation to make a garment. On the spread fabric the marker is placed carefully and accurately, and pined with the fabric to avoid unwanted movement or displacement of the marker paper. Normally straight knife cutting machine is used to cut iut the garment component as per exact dimension of each patterns , care must be taken to avoid cutting defects.